SPOTLIGHT: Saving the world = demonizing alternative visions. But it wasn’t sufficient for these individuals to express their concerns to elected officials and newspaper editors. Instead, the biologist urged his readers to chase other points-of-view off the stage. Those who didn’t kowtow to his hardline analysis should be economically harmed via boycotts. Television and radio programming involving families of three-plus offspring should be maligned as offensive and irresponsible. No other considerations – artistic, legal, moral – mattered. Let me repeat those words: we can no longer tolerate [thought crimes]. TOP TAKEAWAY: The 1960s ethos of ‘live and let live’ had no claim on Ehrlich’s soul. This scientist thought anyone who didn’t buy into his hysteria deserved to have their artistic and political careers destroyed. 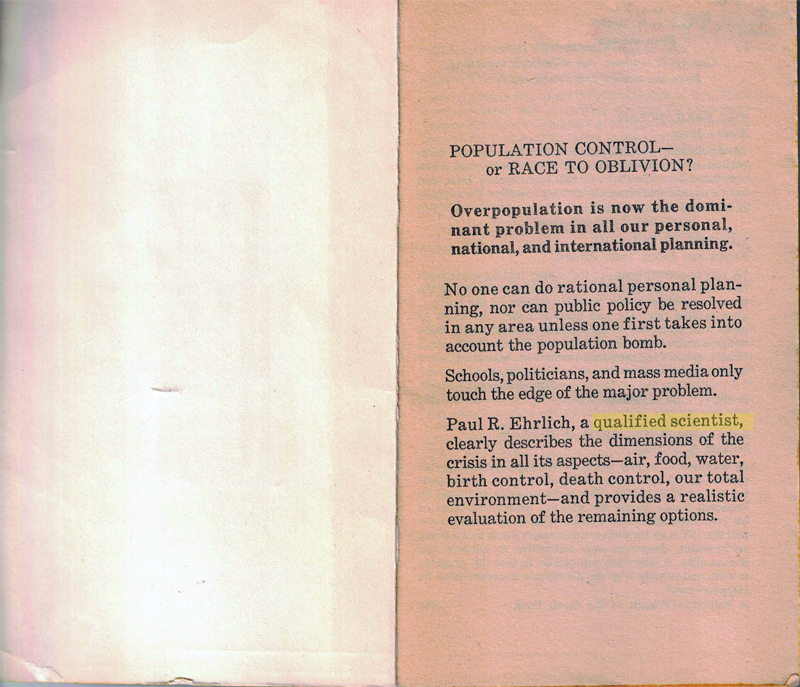 This entry was posted on June 1, 2018 by Donna Laframboise in activist scientists, ethical & philosophical, free speech, historical perspective, quotations and tagged intellectual freedom, Paul Ehrlich, population control.